Grab a clean formula can. Take the lid and cut lots of little holes. Cut two different sizes, a couple of small ones big enough for a popsicle stick. One big hole in the middle roughly the size of bottle lids. 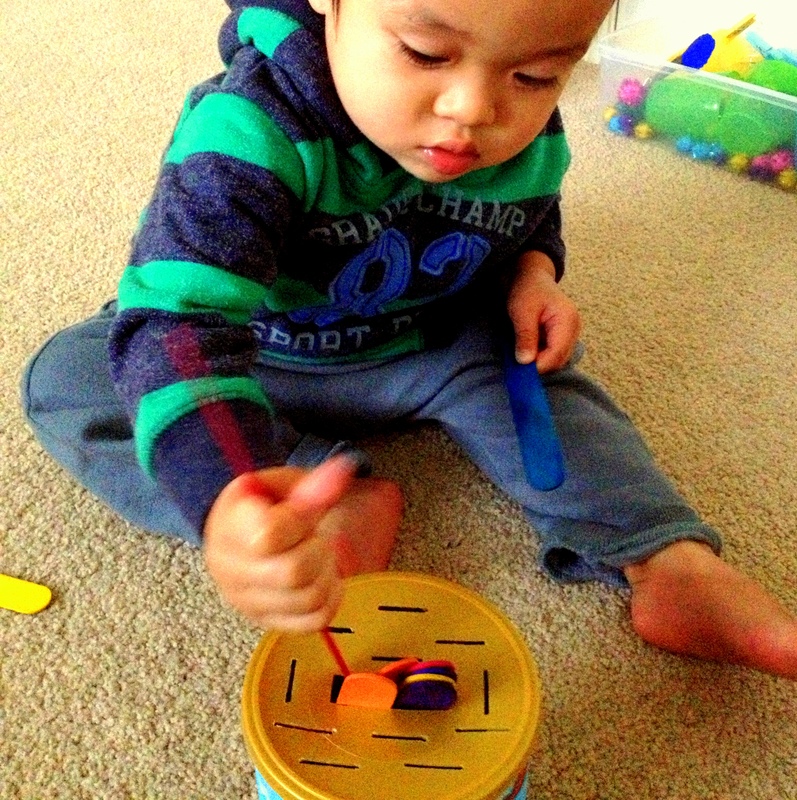 This activity is suitable for young toddlers 16 months and over. 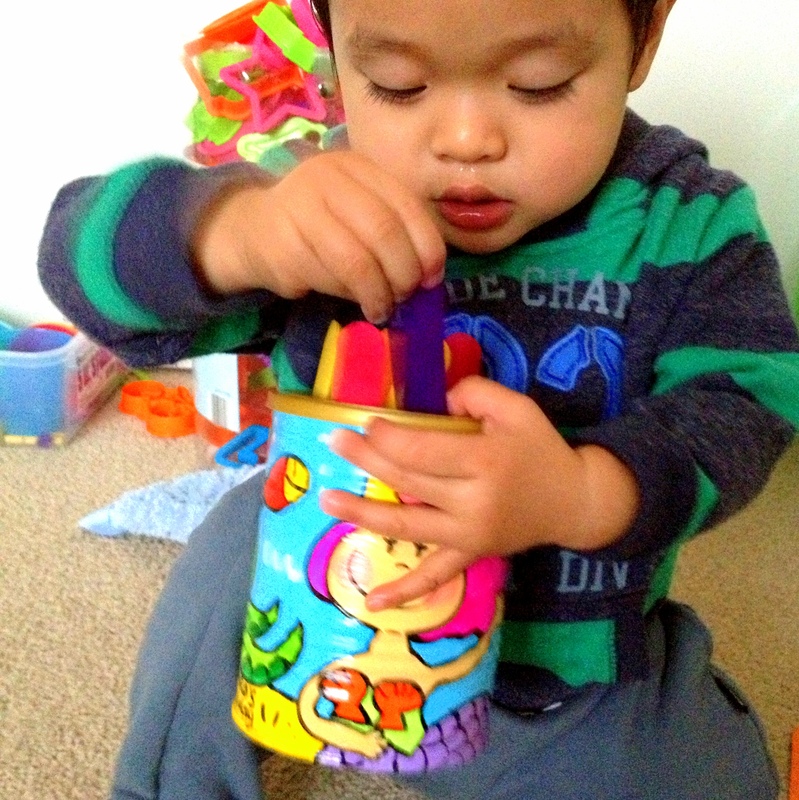 It can help enhances their eye-hand coordination and fine motor skills. Cognitive development is also encouraged as they think about size and shapes. Emotionally it teaches them patience and persistence. 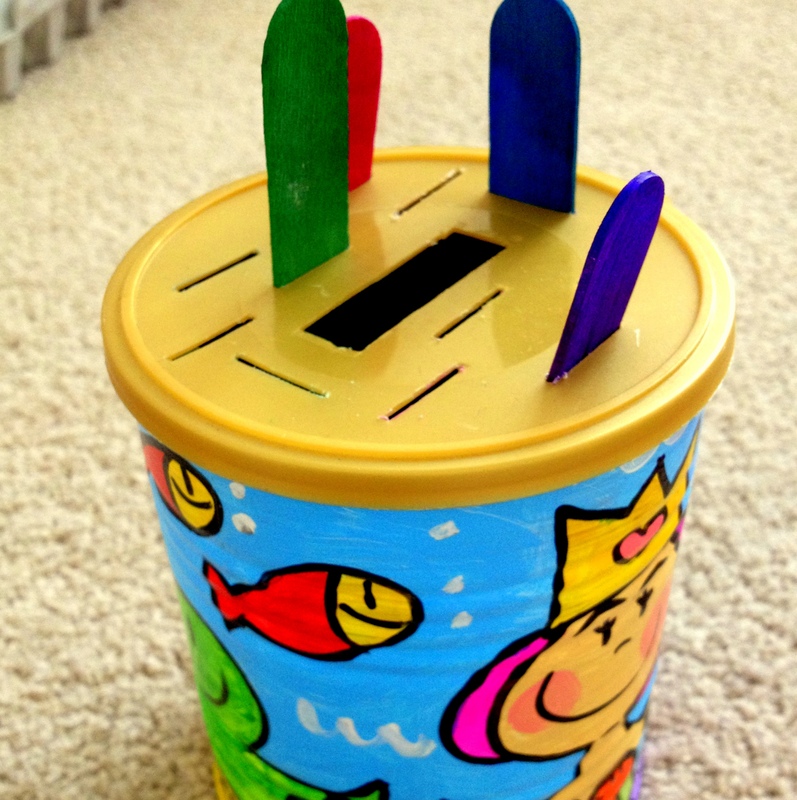 Another thing that we can add to the activity is teaching early math skills of counting one to one correspondence while the child put the popsicle sticks and bottle lids into the holes. 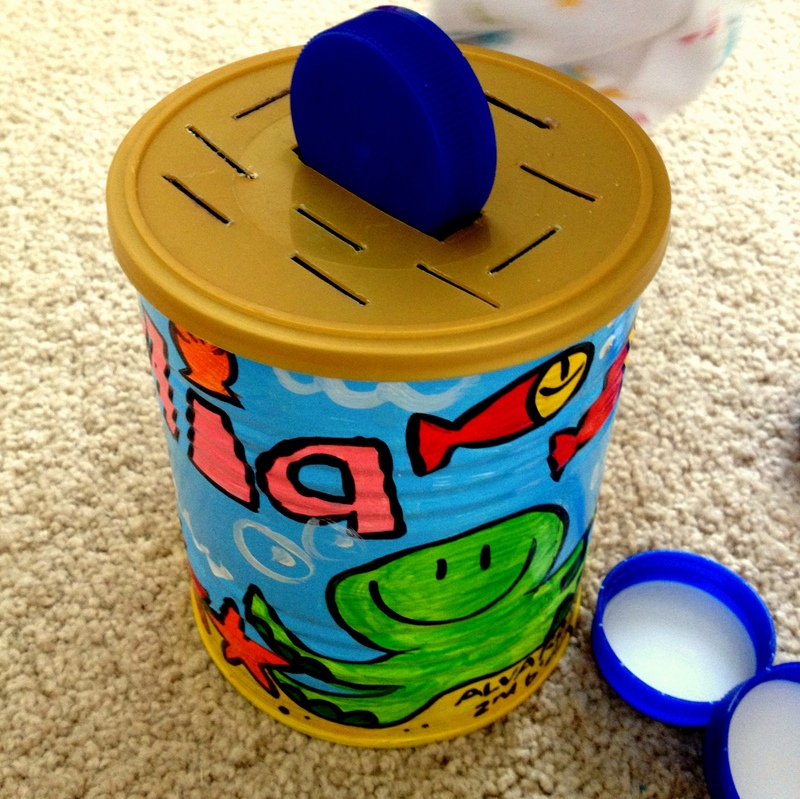 Wash and dry your tin can, and if you want to make it interesting, you can use child-safe water based paint to decorate the tin. Posted in Motor SkillsTagged games, puzzleBookmark the permalink.